Sometimes it’s hard to know how to say, “I love you,” to a child. It’s not that you don’t love them—in fact, you love them so dearly that if anything happened to them, you would simply be undone. But knowing how to express that can often be a challenge, especially when you grew up with parents who didn’t know how to express their love to you, either. Children who feel loved often have the most secure and happy emotional development, and having this from a young age will put them ahead and give them a boost for the rest of their lives. Here are some of the ideas from our daycare in Upper Darby on how you can ensure that your kids know that they’re loved. 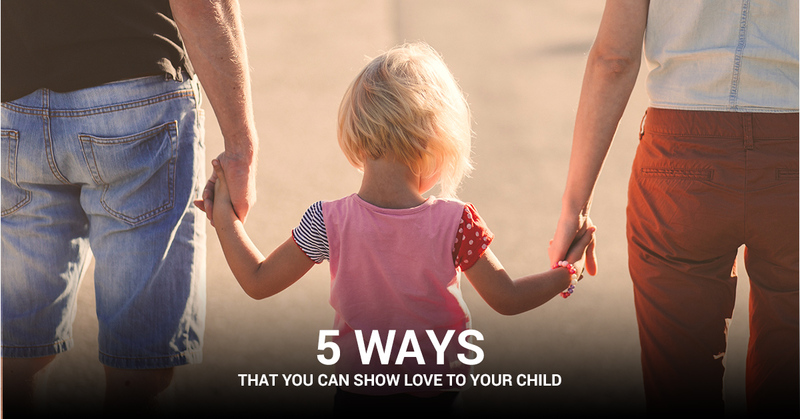 As your child’s parent, you can offer your little one a hug, a pat on the back, a hand on the shoulder, a kiss on the cheek, and many other little ways of expressing your love to them. This is one area where if your child doesn’t get it from you, they won’t get it from any other source in life (or if they do, it would be inappropriate). So lavish your affection on your children with loving touch in appropriate moments. There’s no need to be stoic or expect your children to know that you love them by all the other ways you show your love. Some children are more sensitive to loving words than others, but there are many children who need to hear the words, “I love you,” in order for them to feel secure in knowing they are loved. Don’t be sparing with this powerful sentence in your home. 3. Spend quality time with your child. The flip side of saying, “I love you,” is following through with actions. Don’t let your loving words come across as empty or meaningless. Let your child feel loved by the way you spend quality time with them. Whether it’s involving them in baking chocolate chip cookies, taking them to the park, or sitting by their bed for some quiet reading time before you turn out the light, quality time will go a long way to show your child that you love them. 4. Give your child a gift. This is a tricky one, as it can be taken to an extreme where your child expects you to buy anything they see and desire in a store, and you don’t want to go down that road. But a thoughtful or surprising gift that you give to your child can be a special, memorable thing that they will treasure for years to come. This doesn’t have to just happen on birthdays, and it doesn’t have to be expensive. 5. Serve your child in practical ways. Don’t skimp on making your child feel loved. Giving your child a loving home environment and a positive, nurturing day care environment can go a long way towards giving them a great start in life. Enroll your child in Darlene’s Wee Care 4 Kids today.